The Financial Report of the United States, which applies corporate-style accrual accounting methods to Washington, showed the government’s liabilities exceeded assets by $13.473 trillion. That compared with a $11.456 trillion gap a year earlier. Unlike the normal measurement of government intake of receipts against cash outlays, accrual accounting measures costs such as interest on the debt and federal benefits payable when they are incurred, not when funds are actually disbursed. The report was instituted under former Treasury Secretary Paul O’Neill, the first Treasury secretary in the George W. Bush administration, to illustrate the mounting liabilities of government entitlement programs like Medicare, Medicaid and Social Security. The government’s net operating cost, or deficit, in the report grew to $2.080 trillion for the year ended September 30 from $1.253 trillion the prior year as spending and liabilities increased for social programs. Actual and anticipated revenues were roughly unchanged. The cash budget deficit narrowed in fiscal 2010 to $1.294 trillion from $1.417 trillion in 2009. But the $858 billion tax cut extension package enacted last week is expected to keep the deficit well above the $1 trillion mark for another year. 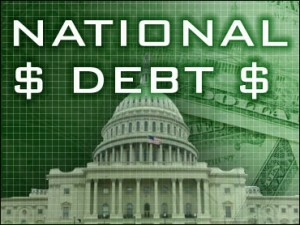 The latest Treasury report should fuel debate in Congress over spending cuts next year as a new Republican majority in the House of Representatives takes office. 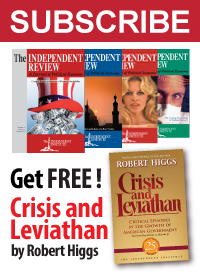 The U.S. Senate on Tuesday approved a compromise bill to fund the government until March 4, 2011. After that, Republicans will have the chance to push through dramatic budget cuts. Among key differences between the operating deficit and the cash deficit were sharp increases in costs accrued for veterans’ compensation, government and military employee benefits and anticipated losses at mortgage finance giants Fannie Mae and Freddie Mac. The biggest increase in net liabilities in fiscal 2010 stemmed from a $1.477 trillion increase in federal debt repayment and interest obligations, largely to finance programs to stabilize the economy and pull it out of recession. . . .